A cochlear implant is an electronic device which may be suitable for children and adults who receive little benefit from conventional hearing aids. Conventional hearing aids work by making sounds louder. A cochlear implant is different because sounds are turned into tiny electrical pulses, which are sent directly to the nerve of hearing. The implant can therefore bypass some of the inner ear structures which are not working. Naturally it is important to remember that no electronic device can be expected to restore function to the levels experienced by a normally hearing ear. A cochlear implant has several different parts, some of which are internal (cannot be seen) and some of which are external (worn on the body). These look very similar to a hearing aid, but actually work quite differently. They consist of a microphone, a sound processor and an external transmitter coil, with cables to connect them. With a cochlear implant, the microphone is placed either behind the ear, like a hearing aid, or is on the headpiece itself. Many children will choose to use an earmould purely as an “anchor” to stop the microphone falling off during active play. Cables connect the microphone to the speech processor. The microphone picks up incoming sounds and changes them into electrical signals, which are then taken to the processor (which is usually worn behind the ear). The processor contains the batteries which power the entire cochlear implant, and these must be recharged every day or two. During programming sessions, the processor will have been carefully set to make the signal just right. The signal is then sent back up the lead, and then to the external transmitter coil and magnet. This looks like a light-weight plastic disc or circle, with the magnet in the middle. The signal passes through the skin using radio waves to meet the internal parts of the implant (see next section). Some processors can be adjusted by a remote control. These are the parts of the device implanted by the surgeon during the cochlear implant operation. They include the internal receiver/ stimulator package (with the internal magnet). It lies under the skin behind the ear, and can be felt if touched gently. The receiver/ stimulator package picks up the radio signal from the outside transmitter coil (see above). From here, the signal is taken via a thin wire to the cochlea (inner ear). 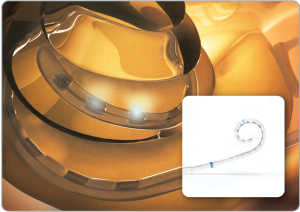 The end of the wire (called the electrode array) is threaded into the cochlea by the surgeon. Because the shape of the cochlea is a spiral (like a tiny snail’s shell), inserting the electrode array requires considerable delicacy and skill. On the electrode array itself, there are several points at which the electrical signals are delivered, these are called the electrodes. The different electrodes each take a part of the signal (depending on whether a particular electrode is tuned for high or low pitches), so that different sounds can stimulate different areas in the cochlea. The signal from the electrodes activates the nerve of hearing, which then takes the message along the usual pathway to the brain. At this stage, the signal may be interpreted by the brain as “a sound”. Experience and practice should help people begin to tell the difference between some of the sounds the implant is giving them. Obviously this will take a lot of work, and this is where the re/habilitation team will be able to assist and support you or your child, hopefully making the whole experience interesting and fun. 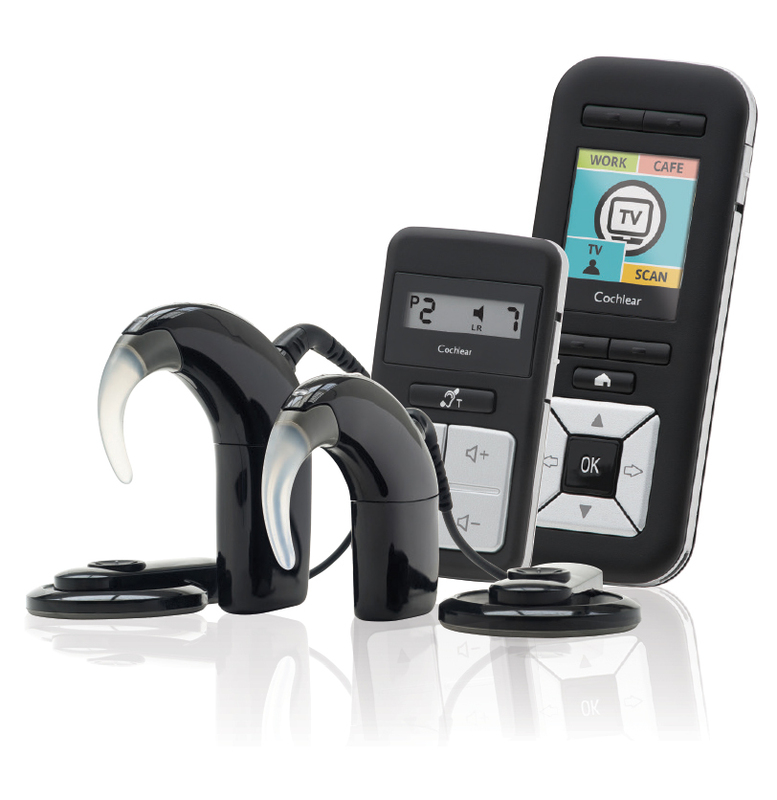 Also see cochlear implant devices and the manufacturers for more information about cochlear implant devices.